Even if you’re waking up from a long sleep, it won’t take you long to find out how big virtual reality is in 2016. Oculus Rift saw its official release and many companies are readying their VR heads, too. Sony, Microsoft and even HTC are stepping up their game and going beyond the simple Rift copies; they’re introducing distinct features that I honestly can’t wait to try. 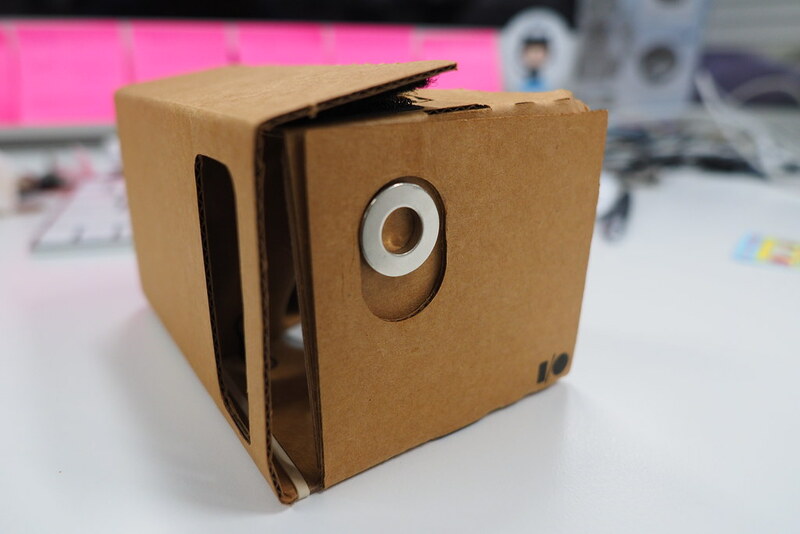 As of January 2016, Google has shipped over 5 million of its Cardboard viewers. And it’s not just the hardware side of VR technology that’s seeing rapid development. Virtual reality software is seeing its own renaissance. VR solutions traditionally used for game development are now seeing applications in medicine, education and museums – not to mention how much better VR makes architectural visualizations. But let’s take a step back – back to a VR headset that starts at $15 and is driven by your trusty smartphone, rather than a bulky high-end PC. The Google Cardboard platform first came out in 2014. It’s Google’s effort at bringing virtual reality to the masses, and that was what concerned me. VR is typically a very computationally heavy task, and looking at Unity’s mobile hardware statistics, the vast majority of people are not running high performance hardware. Despite my concerns, I took the Google Cardboard for a spin, testing five different apps with the viewer. And since I was already skeptical, I didn’t go for the capable Samsung Galaxy S6 or the Sony Xperia Z1 we had lying around. Instead, I went with a Motorola Moto X from way back in 2013, in an effort to see how a truly average phone would perform. Here’s what an entry-level VR experience feels like. If somebody asks me what storytelling is like in 2016, this is the app I’ll show. Vrse have done great job attracting the major players in content creation, like The New York Times. Stories are presented in 360° videos where the viewer is free to look around. Just looking around might sound boring, but couple it with the excellent production of each piece and you get a highly immersive experience. It was obvious for everyone at the office at how surprised I was at the realization that I was in the middle of the room when I took off the Google Cardboard viewer. This was the first time Google Cardboard caught me off-guard. Having said this, Vrse is not without its flaws. Although the movement is responsive and it feels believable, the image quality suffers from compression if you look carefully. If poetry is your thing, don’t skip on this. War of Words VR lets you experience Siegfried Sassoon’s poem “The Kiss” like never before. If you haven’t read the poem before, I suggest you first live through it in VR. War of Words VR is an excellent example of what good art direction is capable of. The interactive read puts the Unity engine to a good use and it looks visually stunning, despite the limited computing resources. Everything looks sharp and watching the events from the poem unfold around you is breathtaking – it’s hard not to reveal too much about what actually happens in the app, but you will experience the feeling of being shot at. I’m even willing to overlook the few frame rate drops. I’m a massive sci-fi fan and there was no way I was going to skip Deep Space Battle VR. Unfortunately, it wasn’t long before my enthusiasm for the game was crushed. It is so frustrating that the magnetic button on the side of the Google Cardboard viewer isn’t utilized here. Chasing spaceships would be a lot more fun if I could decide when to shoot. This is the second time when Cardboard caught me off-guard. This time, it wasn’t pleasant. After just a couple of levels, I felt sick. This is the first time virtual reality sickness kicked in. It’s never a pleasant experience, and this time it was big. I guess virtual dogfights aren’t for me. Visually, Lost in the Kismet is the least impressive app of the five, and still, it didn’t hurt the experience as much as I had originally thought. The game definitely manages to immerse the player. Escaping the room was pretty engaging and solving the puzzle felt rewarding. The frame rate was solid throughout the whole game, which ended with virtual reality sickness again. This time, it was as bad as after Deep Space Battle VR. Orbulus is a collection of a few dozen 360° spherical photographs where you can look around. It doesn’t sound very fun, but some of the locations are surprisingly entertaining. Apart from cliche locations like Paris, San Francisco, and a few others, you can look around Mars from where the Curiosity robotic rover is standing, and even experience what it feels like to be inside of a washing machine. There’s no lack of bizarre experiences here. The app would have been much better if I could only walk around the photographs. I was incredibly frustrated with being stuck in one place. To make things worse, the designers have decided to put the exit button on the bottom, preventing the user from seeing what’s on the ground. Am I Still Skeptical About Google Cardboard? Actually, no. It’s obvious that even hardware that’s a few years old can deliver a decent experience. It’s time for the developers to catch up and produce quality content for the masses. And it’s important for them to do so. Cheap access to VR helps VR to be more widely accepted by both users and developers, and proves the market can extend beyond the niche of expensive and performance hungry high-end units. How does Google Cardboard compare to a higher-end virtual reality headset? Check out the hands-on review of the HTC Vive.